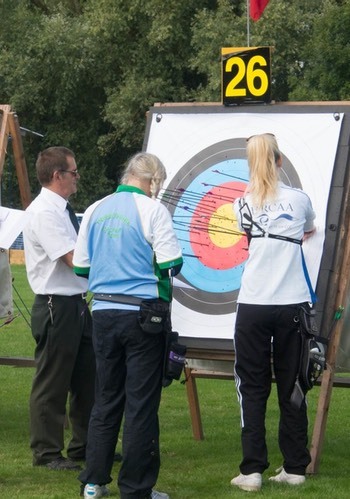 We are a friendly archery club which consists of members of all ages and abilities, and we are always happy to welcome new members, whether you’re looking for a new club or thinking of doing a beginners course! We shoot Recurve, Compound, Longbow and Barebow on both indoor and outdoor ranges, with the option to compete in tournaments both at Club and National level but also for fun. Outdoor season at Kirby Muxloe Sports Club – Tuesday & Thursday evenings from 1730hrs to sunset, Saturday (junior coaching) 0930 – 1145hrs, Sundays 1000 – 1200hrs. Indoor season at Brookvale College in Groby – Tuesday 1915 – 2115 hrs, Friday 1830 – 2030hrs, Saturday 0930 – 1130hrs. There are archery beginners courses available for both adult and junior beginners, with tuition and advice given on a friendly and informal basis whenever you need it.